Decent romantic comedies are an endangered species. It’s getting harder to spot one that isn’t clichéd and contrived, and doesn’t have you digging your fingernails into your palms with embarrassment. Which makes ‘Maggie’s Plan’ the snow leopard of romcoms: intelligent and screwball-funny with clever and complicated female characters. 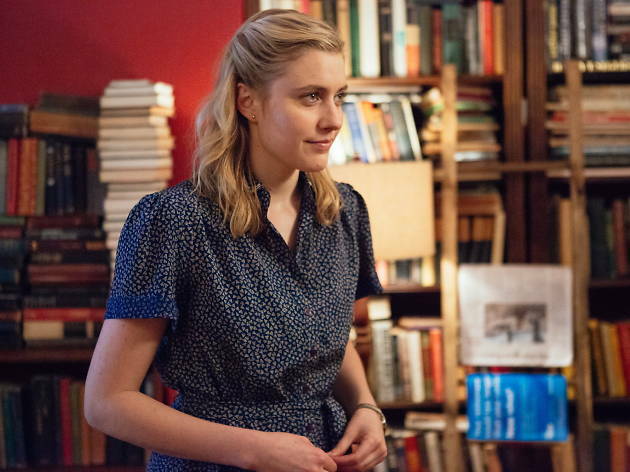 Hipster goddess Greta Gerwig plays control freak Maggie, a New Yorker who has decided to have a baby on her own. But just as she’s about to do the deed with a DIY insemination kit she meets John (Ethan Hawke), a frustrated novelist. He’s married to a superstar academic, the glacial and terrifying Georgette (Julianne Moore, hilarious with an eccentric Danish accent). At this point, director Rebecca Miller cleverly ditches the love triangle dramatics and leaps ahead two years. Maggie and John are married and have a delicious toddler. But marriage is not the happy-ever-after ending Maggie dreamed of. In her fantasy of the relationship, she was rescuing John from selfish Georgette so he could write his masterpiece. In reality, John is fannying around failing to finish his novel, while she is working, looking after their daughter and taking care of the kids from his first marriage. Maggie hatches a plan: why not give him back to his ex? Miller is the daughter of playwright Arthur Miller and is married to Daniel Day-Lewis. She totally nails the world of arty New York intellectuals (you might find some lines a bit precious). Finally, here’s a film that understands that out here in the real world the rule book has been rewritten.Relationship dynamics have changed: women don’t rely on men financially and have babies on their own. Maybe we need a new movie category? The split-com? The singlecom? A sometimes charming and witty and sometimes cloying and irritating film about Maggie, a young woman who plans to have a baby on her own but ends up in a far too conventional marriage with a previously married man and father. Greta Gerwig's quirky performance as Maggie is supposed to be the hook in this film, but she's outclassed by the luminous and often hilarious Julianne Moore as Georgette, the abandoned first wife who agrees to Maggie's second plan, this time to seduce back John, who is now boring the hell out of Maggie. Ethan Hawke seems to be doing a comic version here of his absent father character in Boyhood, and lacks all the charm of his 'Before' trilogy. Rebecca Miller usually has a distinctive eye in the films she directs, but the comedy gets blurry far too early here. You have a choice this month. You could see cold and divisive Neon Demon (hint: I wasn't a fan) or you could see this proper gem of a movie. It’s so warm and smart, meandering about with utterly superb dialogue. It’s immensely well observed and occasionally practically profound – just how much can we plan and how much do we leave to the hands of destiny? Several reviews are referring to this film as a screwball comedy. Personally I think the pace is slightly too slow to categorise it as screwball – not a criticism as I love the pace but screwball comedies are noted for their break-neck speed of story and delivery. However, this has many other elements of screwball. 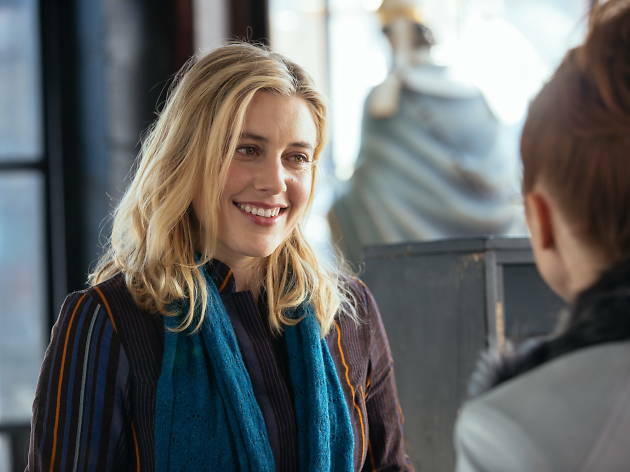 Think Woody Allen meets Jane Austen in terms of the characters and their dialogue.Greta Gerwig provides another knitwear-atired delight (I really wish I was friends with her!) who is utterly sympathetic in a role that could easily not be. Maggie is simillar to Emma (title character of Austen’s 1815 novel) as she is a matchmaker who loves to be in control, who is unable to let other forces control hers or others lives. Hawke is fantastic as John, both glorifying and sending up the figure of intellectual. He also delivers what will most likely be my favourite line of 2016 cinema – “Like is a language condom.” It’s obvious that he is having the time of his life playing this character, which hugely pays off as it’s delightful to watch.The interactions he has with Maggie both convert then subvert the expectations of the romantic comedy, resulting in the film being both old-fashioned yet astutely modern. The scenes when Gerwig and Moore share screen time are truly electric. All too rarely do we get such well-rounded female figures on the screen at the same time, they bounce off each other and the result is electric. What’s fantastic is how layered Moore’s character is. It would have been all too easy to have her as a woman scorned, who pushed her incredible man away with the glacial and disinterested temperament. We quickly learn there is more to her character than her ex-husband revealed, and that John is far from a perfect husband. A quick note has to be made of just how fantastic the supporting cast are. Bill Hader, yet again, is superb (I want to be his friend too! ), Maya Rudolph has little screen time but contributes massively, Travis Fimmel is really likeable as Guy (far more interesting here than he was in Warcraft) and Wallace Shawn has a lovely little cameo. It’s funny and quirky, may not be for everyone, but for many it will be a winning comedy-drama. An utter delight to watch!